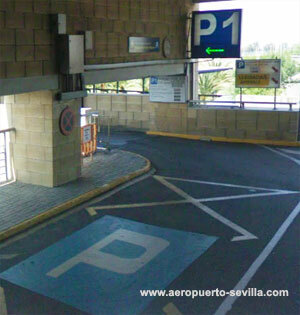 The parking offer of the Seville San Pablo airport is very varied and large, inside as well as outside the airport. Inside the airport enclosure there are 3 public car parks distributed in different areas. As well outside, a few minutes, you can find a large range of low-cost parking with different services added and very competitive rates, aimed at both short and long stay periods. The Seville airport also has a specific car hire parking for the delivery and return of rental cars. The offer of parking at the Seville airport covers several modalities so that depending on your needs you can choose the one that best suits you: short time with fast access, long stay, VIP parking, low cost rates, etc. These parkings also offer regular offers and discounts. Check the rates and offers of the parkings in the following table and make your reservation safely, quickly and comfortably. save money on booking in advance! *Fill your travel dates in the attached table and compare prices from multiple airport parkings in Seville airport. Guarantee best price and your parking space. Low cost parking areas, for short term and long term parkers, inside or close to the Seville airport premises. You park your car on your own. Free return airport shuttle transfer service, including passengers and baggage. VIP parking with a driver who parks the car for you: A driver picks your car up and brings it back to the Seville airport area. Located near the terminal building, this car park is intended for stays of less than 4 days (short / medium stay). The parking has 1,822 slots distributed over five floors. Maximum height for vehicles: 2,10m. Minute 2 to 30: €0,016612 per minute. From Minute 31: €0,032117 per minute. Max/day up to four days: €16,00. Max/day from the fifth day: €15,00. Fill your travel dates in the attached table and compare prices from multiple airport parkings in Seville airport. Guarantee best price and your parking space. *The tariffs of the public parking areas at Seville airport are subject to Aena and can vary without prior notice. Parking for long-term stays. Located on the airport premises, not too far from the terminal building. It has a total of 948 slots. From minute 15: €0,033333 per minute. Max/day for 1st and 2nd day: €14,00 per day. Max/day for 3rd and 4th day: €7,00 per day. Max/day from 5th day: €5,00 per day. Exclusive parking with 8 reception-delivery places and 30 places in storage, with reserved area in the departures terminal . First full day or fraction: €28,00. Price of the 2nd day: €12,00. Price of the 3rd and 4th day: €15,00 per day. Price of the 5th day and later: €10,00 por day. Services you can choose, when you bring or collect your car. - VIP parking with a driver who parks the car for you: A driver picks your car up and brings it back to the Seville airport area. Fill your travel dates in the attached form, and compare prices from multiple airport parkings in Seville airport. Guarantee best price and your parking space!. Seville airport has a specific parking for the delivery and return of vehicle rentals. This car park is located on the Arrivals floor, just after the entrance to Parking P1. The entrance is on the left, and is exclusive for rental cars. Parking for buses and minibuses of public or private service (tour operators, airlines, etc). The parking has 20 slots and access is through the Arrivals floor, just after the entrance to the parking P1. First hour: free of charge. Until the 90th minute: €0,016286 per minute. From minute 91th: €0,031487 per minute. Please, fill in the dates of your journey in the enclosed box. You will then receive a comparison of parking fees, including the latest offers and promotions for the AENA parking area and other car parks nearby..
Easy car park saving mon�y!